Unibet ambassadors and top jockeys Luke Morris and Jamie Spencer, give their thoughts on the rides on day one of the Craven Meeting at Newmarket today. 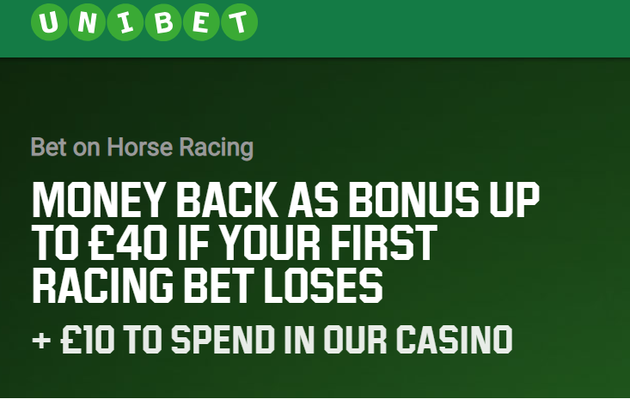 Sign-up to Unibet here to claim up to £40 in free bets. Luke Morris has just the single booking today, but is bullish about his chances. There are a fair few positives about Blackheath. He won on his reappearance last year, 6f on quick ground are his conditions, he was improving the last time we saw him on the track, and Ed won this race last year, too. He is 2lb higher than when he was just touched off at Salisbury in October, but that was a pretty strong handicap and hopefully he will have progressed from three to four. I haven’t sat on him at home recently – though I rode him when he was narrowly beaten by a very progressive horse at Chelmsford last summer – and he looks to have a pretty good profile for this race. But it’s clearly a tough race. Jamie also has just the one ride this afternoon, after Spanish Mission was withdrawn, so he’ll be looking for a strong run today. You never know quite what you will bump into in these early-season Newmarket maidens, and Tatweej cost a lost of money as a juvenile. But the ones to have raced don’t set too high a standard as of yet, and Rimmal is related to a few winners, included a Grade 3 scorer who was placed at Grade 1 level. Jeremy had his first winner of the year recently, and hopefully Rimmal can show up well here, too. I don’t know a lot about her – I haven’t ridden her at home - and she runs in a first-time hood, but apparently she goes okay. Respective posts created by Unibet Ambassadors Jamie Spencer and Luke Morris, with text used with kind permission by the Unibet Blog. Simply deposit a minimum of £10 and place a bet of between £1 and £40, if your bet loses, get your money back as a free bet.